The Show Dome at Mitchell Park. Phil Roberts photo. 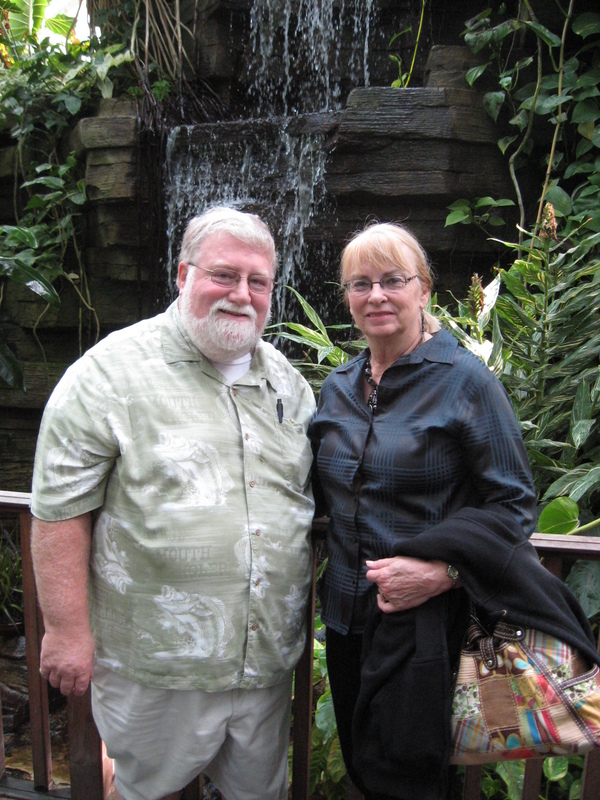 Phil and Sherry in the “rainforest.” Bill Cook photo. 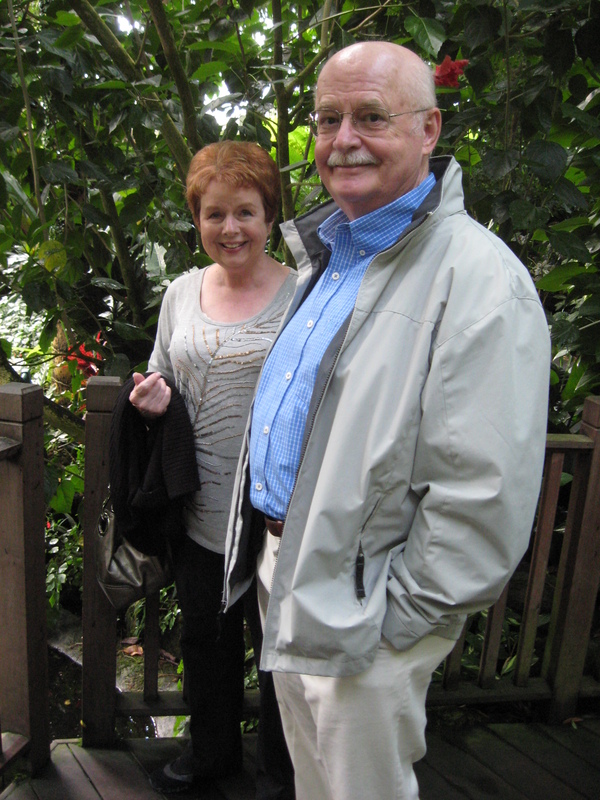 Jan and Bill in the “rainforest.” Phil Roberts photo. 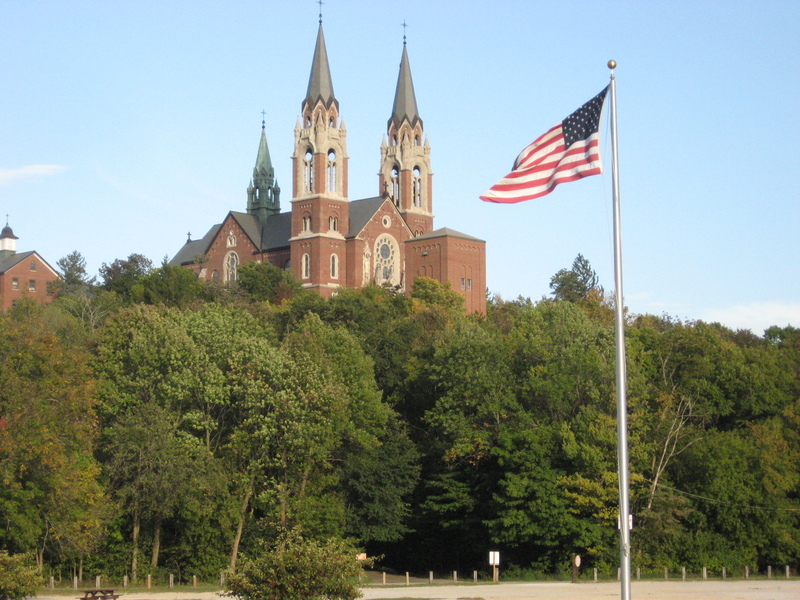 Wisconsin’s majestic Holy Hill. Phil Roberts photo. The Fox and Hounds. Phil Roberts photo. 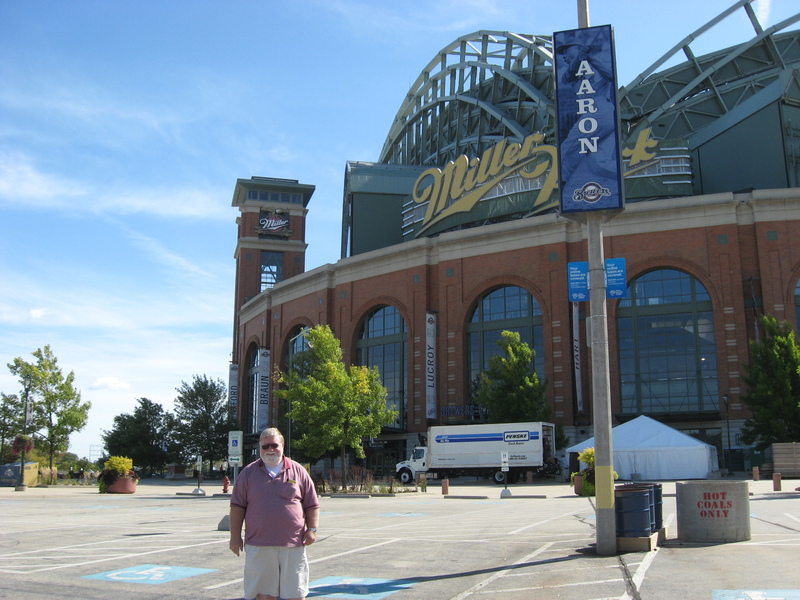 Phil stands in front of Miller Park. Bill Cook photo. 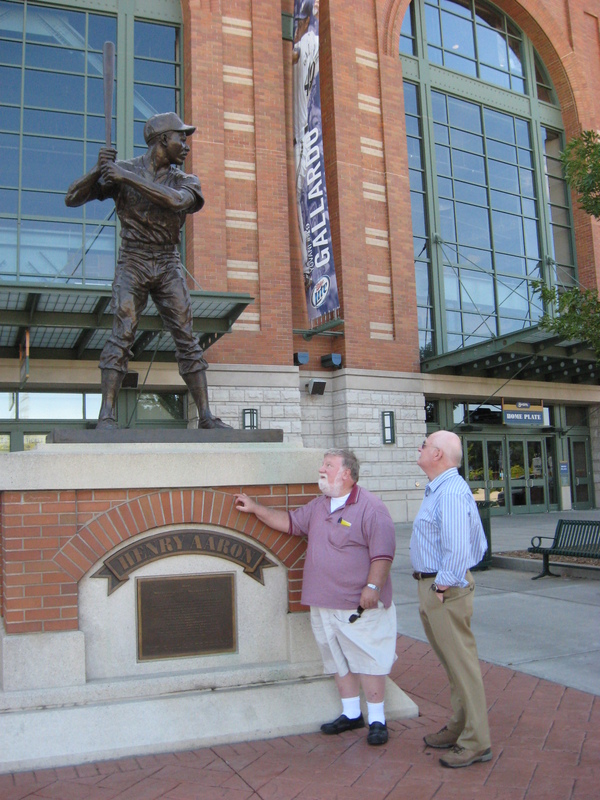 Phil and Bill study the Henry Aaron statue. Sherry Roberts photo. 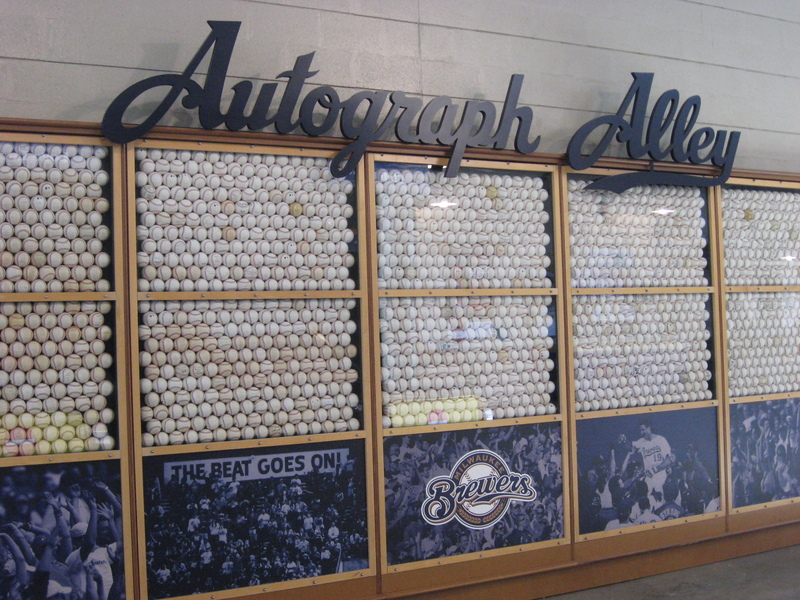 One could spend hours looking at these autographs. Phil Roberts photo. The view from our table at Friday’s was phenominal. Phil Roberts photo. Jan, Bill and Sherry await lunch. Phil Roberts photo. This is a tribute to the construction workers killed building Miller Park. Phil Roberts photo. It was the highlight of Sherry’s and my September — a visit with my cousin Jan and her husband Bill Cook in their comfortable suburban Milwaukee home. We’ve seen Jan and Bill annually the last four years at a cousins’ reunion that we alternate hosting at our Walcott, Iowa, residence with my cousin Bud Devine and his wife Mary at their Rock Island, Ill., home. 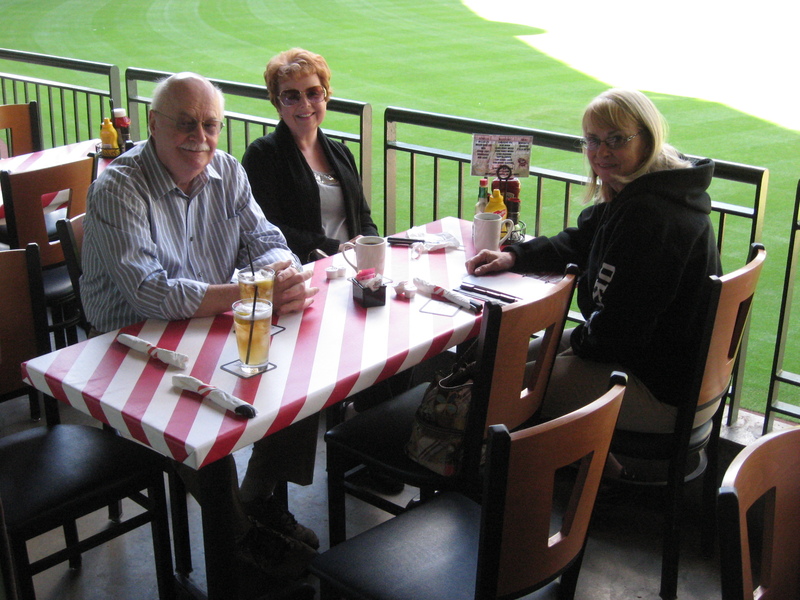 But until last month we’d never taken Jan and Bill up on their longtime invitation to visit them in Milwaukee. Our recent retirements made it easy now to schedule a trip. In-between our arrival and departure, we spent a lot of time relaxing and conversing at the Cook’s house, often over a great meal or a glass of fine wine. But Jan and Bill also made sure we got out of the house to see and enjoy some of their city. On Wednesday afternoon, with Bill at the wheel, we had a narrated tour of Milwaukee’s bustling downtown and the beautiful lakefront, followed by a stop at Mitchell Park Conservatory (milwaukeedomes.org), also known as The Domes. 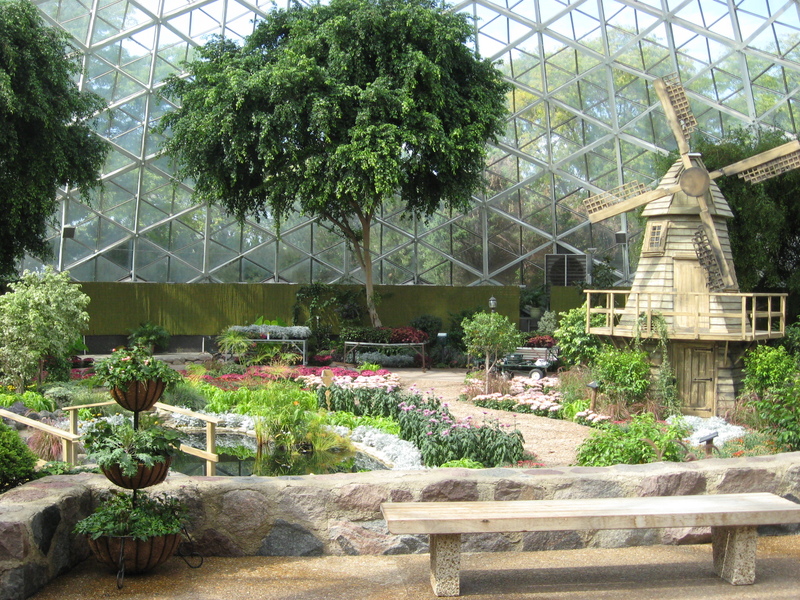 There are three diverse domes there, all filled with appropriate vegetation for their climate. One is tropical, a microcosm of the rainforest. Another is desert in nature, divided geographically into Old World and New World growing areas. The third one is a show dome, which has rotating themes. It was being worked on during our visit, but we peeked inside. After getting up close and personal with the humid rainforest and hot, dry desert at The Domes, we freshened up at the Cook house and soon were back on the road. 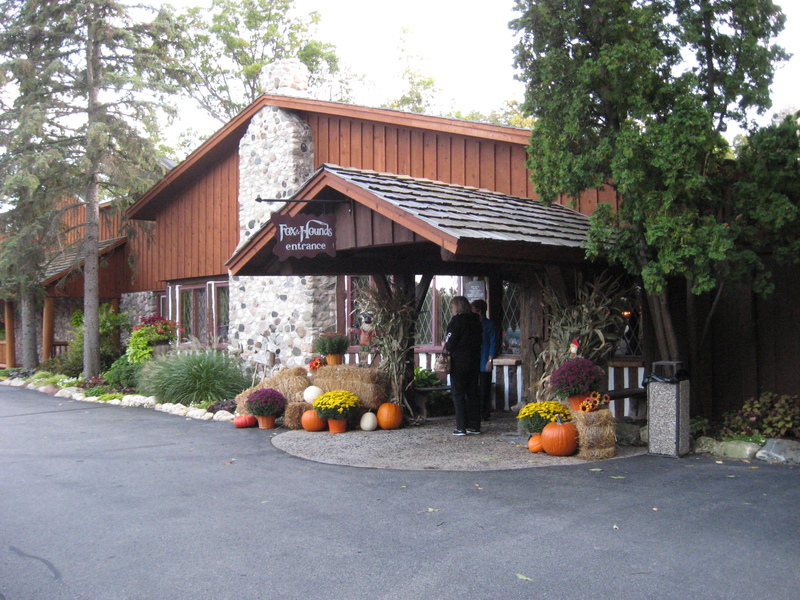 This time we went to Hubertus, Wis., to gaze at something called Holy Hill (holyhill.com). From Holy Hill it was a short jaunt to the Fox and Hounds Restaurant & Tavern (foxandhoundsrestaurant.com), a restored former fox-hunting lodge that’s now a rustic restaurant, also in Hubertus. I ordered the full rack of ribs, and they nearly covered my plate. A salad and potato that came with the dinner guaranteed that I’d be taking ribs home in a to-go box. 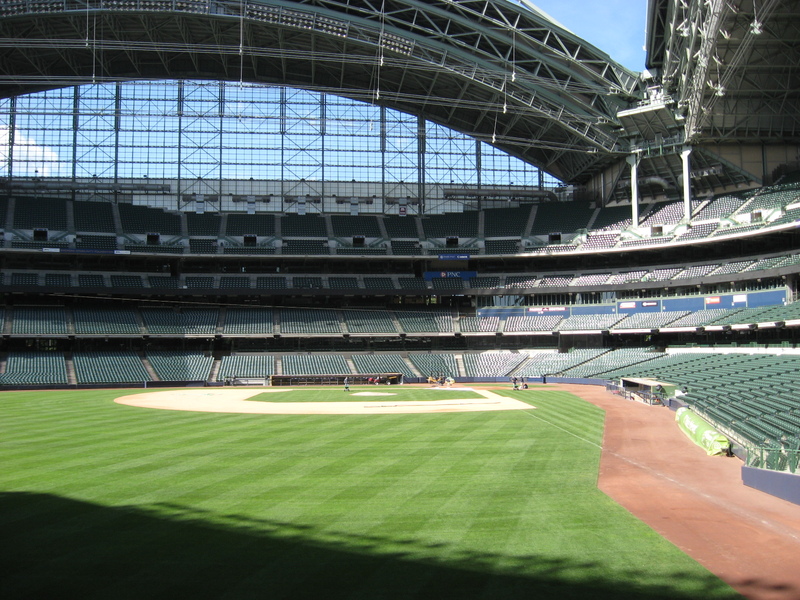 At midday Thursday, the Cooks and Roberts were off on another road trip, this time to Miller Park, a first-class baseball stadium completed in 2001 to replace Milwaukee County Stadium. Sponsored by Miller Brewing Co., the ballpark boasts North America’s only fan-shaped convertible roof, which can open and close in less than 10 minutes. 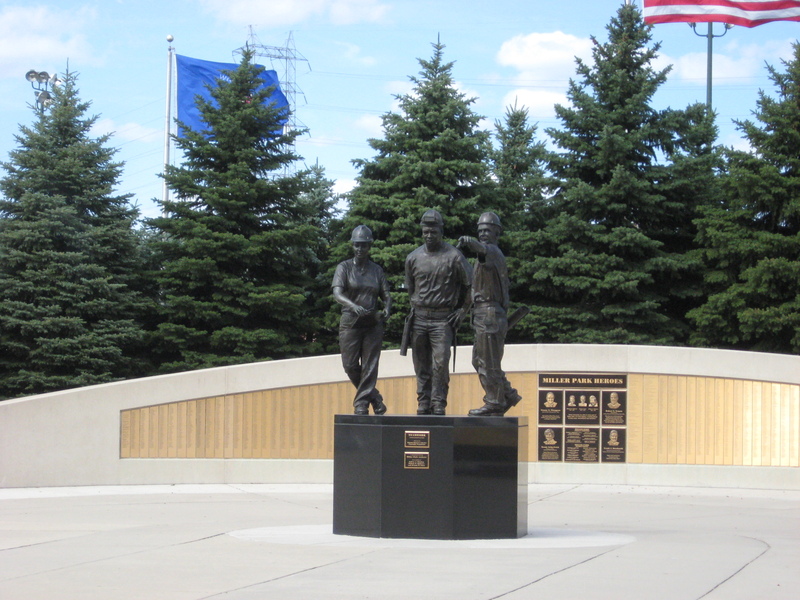 Among the statues of baseball players, like Bob Uecker, around the stadium’s exterior are those of three workers who died during Miller Park construction. On July 14, 1999, a large crane collapsed on a windy day while lifting a 400-ton roof section, killing the three construction workers. Once inside, we overlooked the lush green playing surface at an “outdoors” table while having lunch at TGI Friday’s, a restaurant in the stadium. It was an enjoyable way to end our trip north.